In honor of this last Friday before Christmas, and our 4 installment of Random Acts of (Tea) Kindness, we bring to you the mother of all spices: CINNAMON! Cinnamon is quite frankly: magic. Aside from the immense healing properties (and there are many) its ability to curb a raging sweet tooth is legendary. But did you know about its rich and interesting history? In 1518, Portuguese traders discovered cinnamon bark in Ceylon which is known today as Sri Lanka. They took over the kingdom of Kotto and took control of the cinnamon trade for about 100 years. It wasn’t until the Ceylon kingdom of Kandy allied with the Dutch in 1638 to overthrow the Portuguese occupiers. The Dutch ended up defeating the Portuguese, took control of Ceylon and the cinnamon monopoly for the next 150 years. Enter the British in 1784 and their victory in the 4th Anglo-Dutch War, and by 1800, cinnamon was sort of downgraded and no longer a rare commodity. That’s a lot of fighting and history – over the bark of a tree. Cinnamon trees are small evergreens that can grow to a height of 66 feet and contain aromatic bark and leaves. The tree bark is often peeled, dried, ground into powder, or rolled into strips. It is used in both sweet and savory foods. There are typically 2 types of commercial cinnamon on the market today: Ceylon (Sri Lankan), Cassia (Indonesian and Vietnamese.) Cassia is the the cheaper variety and what is usually sold in grocery stores to use in cooking, baking etc… The more expensive cinnamon from Sri Lanka is more milder and sweeter and very, very, very good in tea. High in antioxidants called polyphenols, phenolic acid, and flavonoids – compounds which work to fight oxidative stress in the body especially as we age. Anti-inflammatory properties which may help lower the risk of heart disease, cancer, brain function decline, lowers swelling and inflammation, beneficial for pain management, soreness, and PMS. Heart Health protection by reducing several common risks to heart disease like high cholesterol, high triglycerides and high blood pressure. Cinnamon also increases blood circulation and advances bodily tissue’s ability to repair itself after it’s been damaged. This includes heart tissue which is in need of regeneration in order to fight heart attacks, heart disease, and stroke. Diabetes management. Helps lower blood sugar levels and also can improve sensitivity to the hormone insulin. It has been shown to decrease the amount of glucose that enters the bloodstream after a high-sugar meal, which is especially important for those with type 2 diabetes. Fights viruses and infections by defending the body from illnesses since its naturally anti-microbial, anti-biotic, anti-fungal, and anti-viral. Superfood? Probably! Super tasty? Without a doubt! And it’s the feature of our 4th week of our Random Act of (Tea) Kindness initiative this month. Just in time for the Christmas holiday which is only (3 days away) please enjoy 22% OFF both our Cinnamon Orange Spice Black Tea and our Cinnamon Rooibos (Caffeine-Free). No discount code is required. Discount is automatically applied in your cart and is good from Dec 22nd thought Dec 27th! Both teas have 3 types of cinnamon blended with orange peel and some sweet clove. You won’t need a drop of sugar in either of these teas. They are naturally sweet and 100% sugar free. Pairs perfectly with christmas cookies, desserts and general snuggling by the fireplace. We’ve also “heard” that a shot of brandy in either cuppa takes this to a whole new level. You’re in for a special treat as we hop over to Sri Lanka (a small tropical island off Southern India) to explore a black tea called Ceylon. It gets its name from its country of origin before it changed in 1948. You can read even more about this on the Sri Lanka Tea Board Website. A few months back, I was invited to dinner at the residence of the Ambassador of Sri Lanka where I sat next to a colleague who owns of a very small organic tea estate in Ella. We had run into each other a several times over the years, but this particular meeting proved fateful because we were able to really discuss the teas his estate is producing. 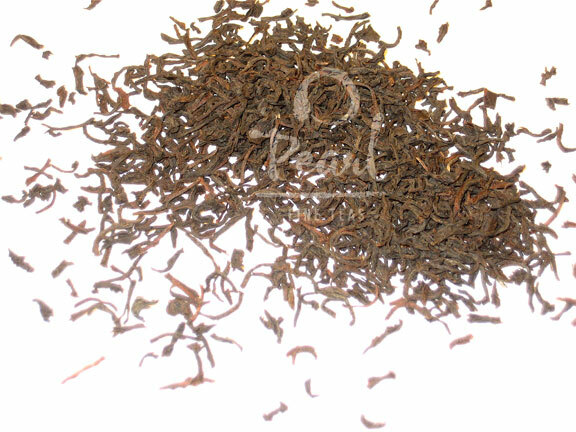 A few samples later and we now carry this very unusual, very special OP1 Ceylon Black Tea with addition of dried tea flowers (camellia sinensis). It was a bit of a wait (months actually) but the end result was worth it. When the few precious kilos arrived, I squealed with delight. • Overview: A special, medium bodied black tea that’s also a visual delight. • Dry Leaf: Long, delicate, wiry leaves with gorgeous pale yellow dried flowers. • Flavor notes: Strong notes of honey and light notes of citrus fruit on the finish. Crisp and bright. A longer steep yields a healthy substantial brew. If you are interested in giving todays beauty a try, please visit the Pearl Fine Teas tea shop today and use code: 25TEAS15 at checkout to get 25% off Ceylon with Tea Flowers – today only! In order to produce 1 pound of honey, 2 million flowers must be visited. A hive of bees must fly 55,000 miles to produce a pound of honey. An average worker bee (female) makes only about 1/12 teaspoon of honey in its lifetime. It would take approximately 1 ounce of honey to fuel a bee’s flight around the world. Honey is less than 20% water. Beeswax is edible. If you’ve eaten a Gummy Bear, you’ve eaten beeswax. Honey is the only produce with NO EXPIRATION DATE. ACACIA – made from nectar collected from Acacia tree blossoms which produce a honey that is remarkably clear and pure. Popular and sweet with a mild, delicate floral taste. ALFALFA – light in color and mildly scented floral aroma. 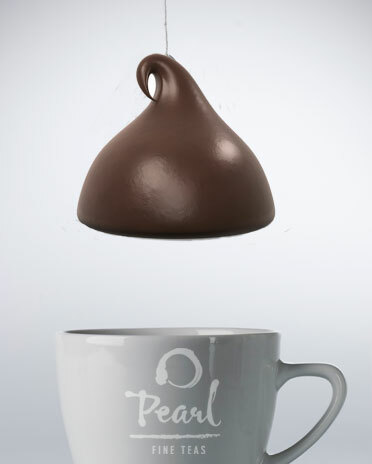 Its delicate nature doesn’t overpower other flavors making it a perfect with tea. Not as sweet as most honey. AVOCADO – tastes nothing like the fruit, avocado. Dark, fairly rich and buttery in flavor. BASSWOOD – one of the few varieties that that is light color but has a strong biting distinctive lingering flavor. Very good with teas like Earl Grey. BLUEBERRY – made from the tiny white flowers of the blueberry bush. Light amber in color, has a pleasant flavor, a slight tang, and a blueberry aftertaste. BUCKWHEAT – hard to find. The darkest of honeys with a full-bodied flavor. Rich in iron. Popular with honey lovers. Has been found to contain more antioxidant compounds than some lighter honeys. CLOVER – a classic honey with a mild sweet taste. One of the most available and popular varieties. EUCALYPTUS – a special herbal flavor which carries a hint of menthol. Traditionally used as a protection against colds and headaches. Try it in your morning or afternoon tea. FIREWEED – One of the most popular honeys. Very smooth, delicate, and buttery in taste. HEATHER – thick, amber in color. Strong, fragrant and floral with a very lingering aftertaste that is almost bitter. High in protein content. LEATHERWOOD – a native eucalyptus found in the south-west of Tasmania, Australia and is the source for 70% of the country’s honey. Excellent on wheat toast. Adds a fantastic aroma to tea. LINDEN – light yellow color and a delicate, fresh, woody scent. Known to have sedative and antiseptic qualities. Used in the treatment of colds, cough and bronchitis. MANUKA – found only in New Zealand’s coastal areas, and comes from the flower of the Tea Tree bush. Said to be antibacterial and helpful for healing of sore throats, colds, indigestion, stomach ulcer, acne and pimples. ORANGE BLOSSOM – light in color, mild in flavor with a fresh fruity scent with a fragrant citrus taste. PUMPKIN BLOSSOM – harvested once a year in the early fall. Dark amber-colored liquid with a light floral fragrance. Tastes nothing like Pumpkin Pie. A seasonal honey – limited as the bloom is short and does not produce much nectar. RED GUM – found in Australia. A darker honey with a thicker consistency, bold taste and higher level of antioxidants compared to others. REWAREWA – found in New Zealand. Full bodied and malty. A classic dark red premium honey with a caramel, slightly burnt flavor. Quite unusual. PINE TREE – from Greece. Less sweet, a little bitter, with a strong aroma. Rich in minerals and proteins. Resistent to crystallization. SOURWOOD – light-colored, delicate, with a caramel or buttery flavor, and a pleasant, lingering aftertaste. SAGE – produced in California. Light in color, heavy bodied and has a mild but delightful flavor. Slow to granulate, making it a favorite variety among honey packers. TAWARI – from New Zealand’s Tawari trees. Golden in color with a creamy butterscotch flavor. TUPELO – a premium honey produced in northwest Florida. Heavy bodied but with a mild, distinctive taste. One of the sweetest honey varieties. WILDFLOWER – also known as “multifloral” or “mixed floral” honey. Its color can vary from very light to dark. Flavor range from light and fruity to tangy and rich. And that’s just the tip of the iceberg, or rather honeycomb. Honey seems to be an uber-super-duper food that just happens to have a natural affinity with tea. Lucky us! I hover around 8 – 10 cups a day so I should have the heart of a infant. Or, I should be glowing…or levitating… or something like that. Here’s an 11th fun fact about honey: When adding honey into tea, wait till it’s not too hot to avoid destroying its natural goodness. * If you liked what you read, please recycle. Send to someone who might be interested!